Ketosis is a natural state of the body in which it is fueled almost solely by fat. This happens when a person fasts or adheres to a very low carbohydrate diet. The exciting thing about ketosis and ketogenic diets is that you can lose a lot of weight while eating a normal quantity of food. You don’t have to suffer through skimpy portions. There are other benefits of keeping a ketogenic diet as well. These will be explained in the following article. 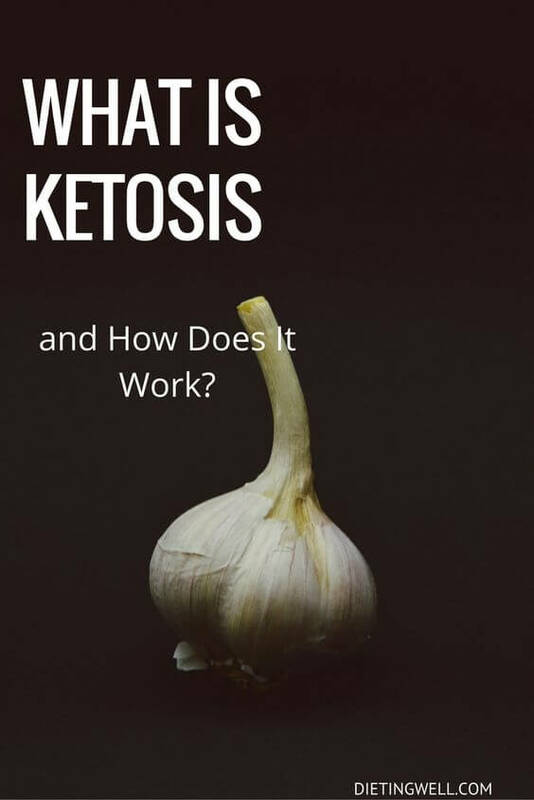 The root “keto” in the word ketosis comes from the type of fuel that the body produces when blood sugar is in low supply. The small molecules that are used as fuel are called “ketones.” If you consume very few carbohydrates and only a moderate amount of protein, then the body begins to produce ketones. Ketones are made by the liver from fat. Both the body and the brain can use them as fuel. The brain cannot directly function from fat. It must convert the fat into ketones. When you go on a ketogenic diet, your body almost solely runs on fat. Your insulin levels become rather low as well. Since you are burning so much fat, this is a great way to lose weight. Studies show that ketogenic diets result in greater weight loss. The fastest way to get into ketosis is by fasting. However, you cannot fast for very long, so you need to start a low carb diet. Many people think that the brain needs carbohydrates to function. This is not really true. The brain can work well simply by burning ketones. The reality is that many people feel like they have even more energy and focus when they are fueled by ketones. There are many known benefits of ketosis. It is known to enhance mental and physical endurance, as well as reduce hunger. This obviously is a great thing for weight loss. Since ketosis requires a significant reduction in carbohydrate intake, it is also known to be a way of reversing type 2 diabetes. It is also known for being a way of controlling epilepsy, sometimes without even using any medication. Dry mouth and increased thirst – To counter this symptom, you should make sure that you are well hydrated. Increased urination – One of the ketome bodies, acetoacetate, can build up in the urine. This makes it possible to test for ketosis by doing a lab test on your urine. A result of this is that you may have to use the bathroom more frequently. This can be a cause of the thirst mentioned above. Ketones in the breath – This happens as a result of a ketone body called acetone that escapes through the breath. This ketone can make your breath smell fruity or like nail polish remover. This smell may also come out from your sweat. Reduced hunger – Many people have a great reduction in appetite. This might happen because of an increased ability of the body to use its fat stores. Some people even feel that they can eat only one or two meals a day in this state. Increased energy – At first, you may feel a little bit tired. However, later, you may feel a significant increase in your energy levels. Some people will even gain a sense of euphoria in ketosis. During the first week of your ketogenic diet, you may have some side effects. Some potential side effects include headache, lethargy, irritability, leg cramps, constipation, and heart palpitations. These side effects are not usually serious and will pass quickly. Many of them can altogether be avoided by getting enough fluid and salt. Some people have misconceptions about ketosis. They mix it up with a condition called ketoacidosis. Ketoacidosis is a rare and dangerous medical condition that affects people with type 1 diabetes. This occurs if they don’t take their insulin. Ketoacidosis is a very severe malfunction of the body’s systems. This happens when the body produces excessive and unregulated amounts of ketones. Reaching ketosis is not an all-or-nothing thing. You can be in different degrees of ketosis. Optimal ketosis is the condition that is recommended for maximum mental and physical performance gains. It is measured at around 1.5 to 3 mmol/L. At this level, fat burning is maximized. 1. Restrict carbohydrates. – You need to restrict your carbs to 20 digestible grams per day or less. The amount of fiber that you consume does not need to be restricted. 2. Lower protein consumption. – Your protein consumption should be at a moderate level. You should aim for about 1 gram of protein per kilogram of body weight per day. So, if you weigh 70 kilos, then you should consume no more than 70 grams of protein per day. The most common obstacle to reaching ketosis is the consumption of too much protein. 3. Increase fat intake. – You need to eat enough fat to feel satisfied. Your diet can only be sustainable if you stay away from a condition of starvation. Starvation diets never work. A sensible diet will work. 4. Avoid snacking. – When you are not hungry, you should avoid snacking. When you snack, it slows your rate of weight loss and reduces ketosis. No one can say for sure exactly how long it will take you to reach ketosis. It seems to vary between different individuals. Everyone has a unique metabolism. Also, we all have varying resistance to insulin and other biological factors that enter the mix. Typically, you can expect that your body will reach ketosis within a period of 2-10 days from the start of your diet program. Some authors report that they have reached ketosis in as little as one day. As a general rule, ketosis will not occur if you are consuming more than 30 grams of carbohydrate a day. As previously mentioned, the amount of carbohydrates that you can consume will vary from person to person. Most people can safely achieve a ketogenic diet. However, people who have diabetes, are on medication for high blood pressure, or are breastfeeding should consult with their physicians. This is the most simple and cheap way to measure ketosis. It is a good way for beginners to test. You dip the stick in your urine, and the resulting color change will tell you the level of ketones in your system. If you get a dark purple color, then you know that you are in ketosis. Pros: These strips are available in pharmacies everywhere. They are also a reliable indicator of the state of ketosis. Cons: The results can vary depending on the amount of fluid that you drink. The strips also won’t tell you the precise ketone level that you are at. This is a device which will measure the amount of ketones in your breath. Pro: It is a simple, reusable test. Con: It is not always reliable. Blood ketone meters test a sample of blood to determine the ketone level in your system. Pros: They are very exact and reliable. They are the most reliable method known. Cons: The device is very expensive, and you need to prick your finger for a drop of blood. In this article, we have reviewed what ketosis is and many issues surrounding ketogenic diets. Ketogenic diets are a seemingly painless way to lose weight and enhance your performance. With a few exceptions, almost anyone can go on a ketogenic diet. The key to the ketogenic diet is to put the body in a state of ketosis. This state occurs when you fast or consume a very low carbohydrate diet. There are various diets that are sold in book form that take advantage of the process of ketosis. One of these is the Atkins Diet. Many people remark that they really love the ketogenic diet because they are able to lose weight without starving themselves to death. They also like the feeling of being able to get satisfaction from food without sacrificing their shape and health. What’s your experience with ketosis? Let me know in the comments section below! The Keto Diet has allowed me to achieve my goal weight. I had plateaued and was getting discouraged until I discovered the Ketogenic Diet with Intermittent fasting. I went through a short period of no loss due to carb creep and possibly too much protein. I haven’t been keeping track of macros, so there you go. Thanks for the info. Thank you for the concise rundown, very helpful. You may be eating too much protein and not enough good fats. I was having the same problem till I cut down the protein and ramped up the fat. Can I be on a ketos diet with a mild kidney disease? I am following keto diet properly from 21 days and not loosing weight and not even inches loss. Please guide. Not having high carb. Not having more protein then fat and 4 to 5 times a week I am doing excersice also.